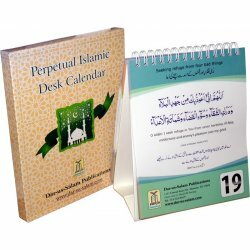 This beautiful Islamic Desk Calendar has 31 pages with beneficial supplications and their translations in English & Urdu. 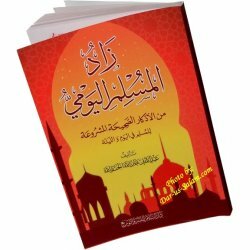 It includes Quran/hadith references and states the application method for the dua'. 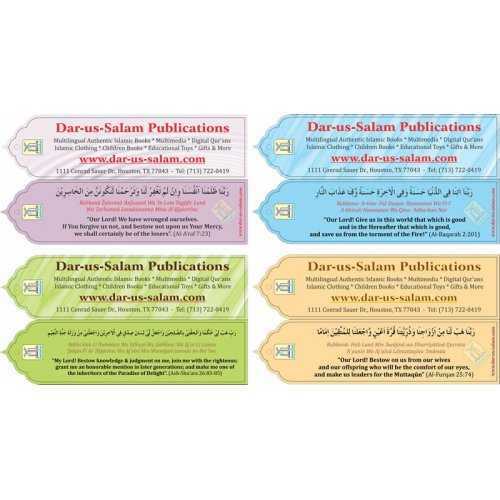 Each day flip the page and you will see another dua' on both side of the calendar. 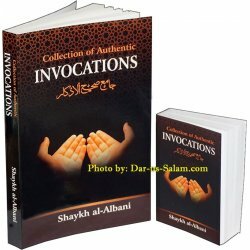 It will be very helpful for reciting and memorizing the invocations. 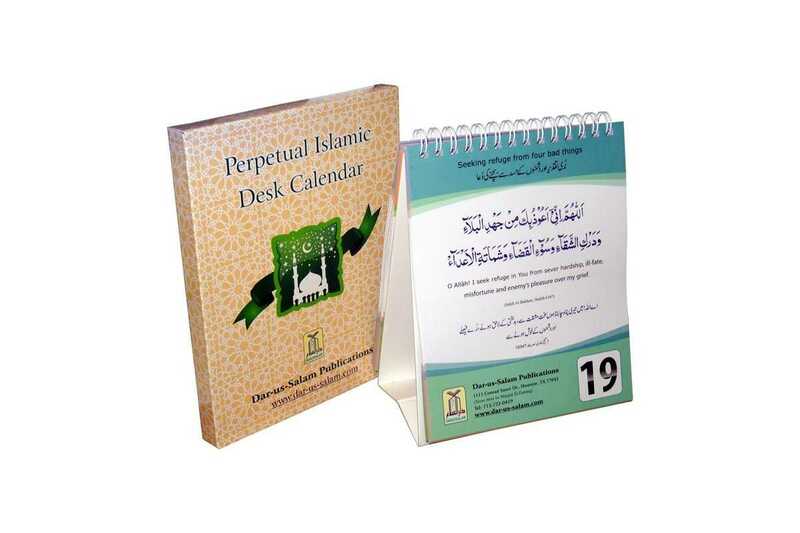 Jamal U. on 12/15/2018 Perpetual calendar of daily du'as are a great addition for any home.